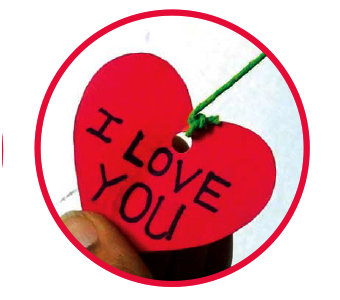 You will need: Lots of small rubber bands, strings, ribbon, red colour paper, punch machine, glue, scissors and pencil. 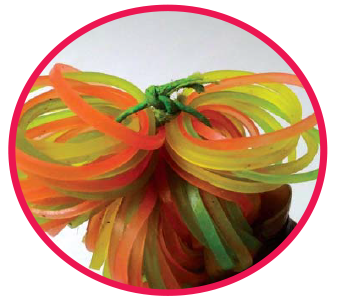 Tip:Instead of rubber bands, use colourful strings to make flowers. 1. 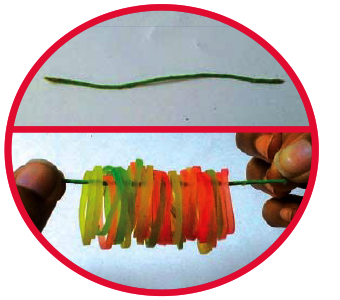 Thread some rubber bands (about 60) through a piece of string that is 5cms long. 2. Tie the ends of the string into a knot. 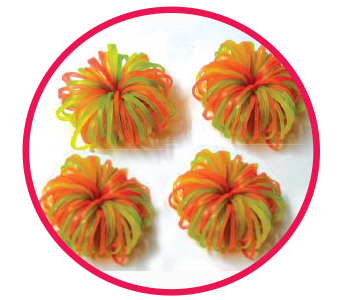 You will now have a rubber band flower. 3. 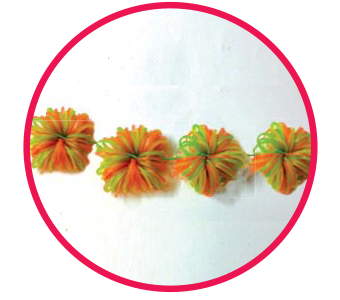 Make three more rubber band flowers. 4. 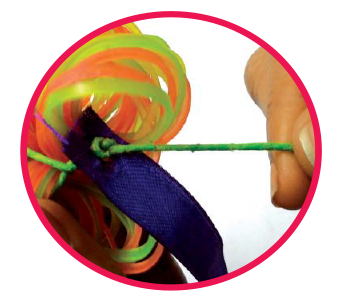 Thread a long string through the four rubber band flowers. 6. 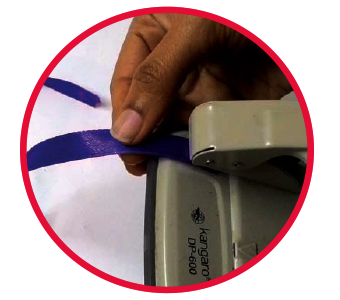 Using the punch machine, make a hole on one end of each ribbon. 7. 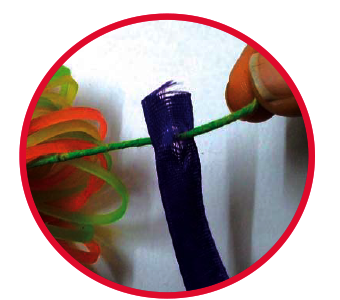 Thread a ribbon through one end of the string that runs through the rubber band flowers. 8. Tie a knot as shown. 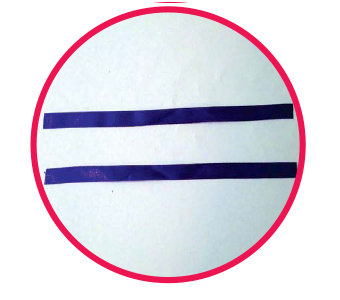 Similarly, thread the second ribbon to the other end of the string. 9. 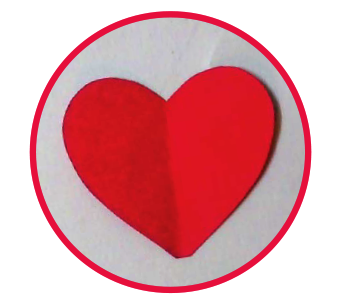 Draw a heart on the red colour paper and cut it out. 10. 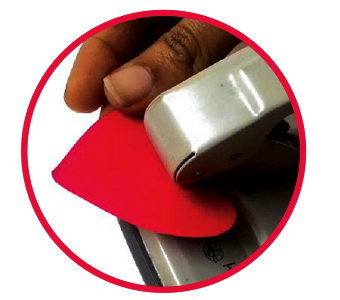 Using the punch machine, make a hole on the top of the cutout. 11. 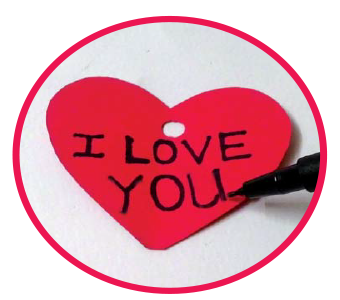 Write a message for your valentine on the heart. 12. Tie a string to the heart as shown. 13. Tie the other end of the string between the rubber band flowers. 14. 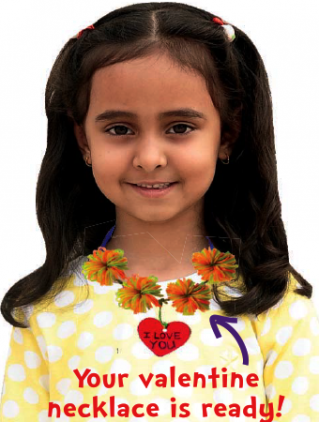 To wear the necklace, tie the ends of the ribbon around your neck. 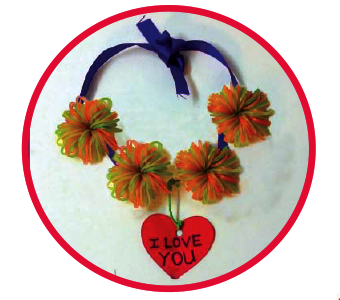 Your valentine necklace is ready!